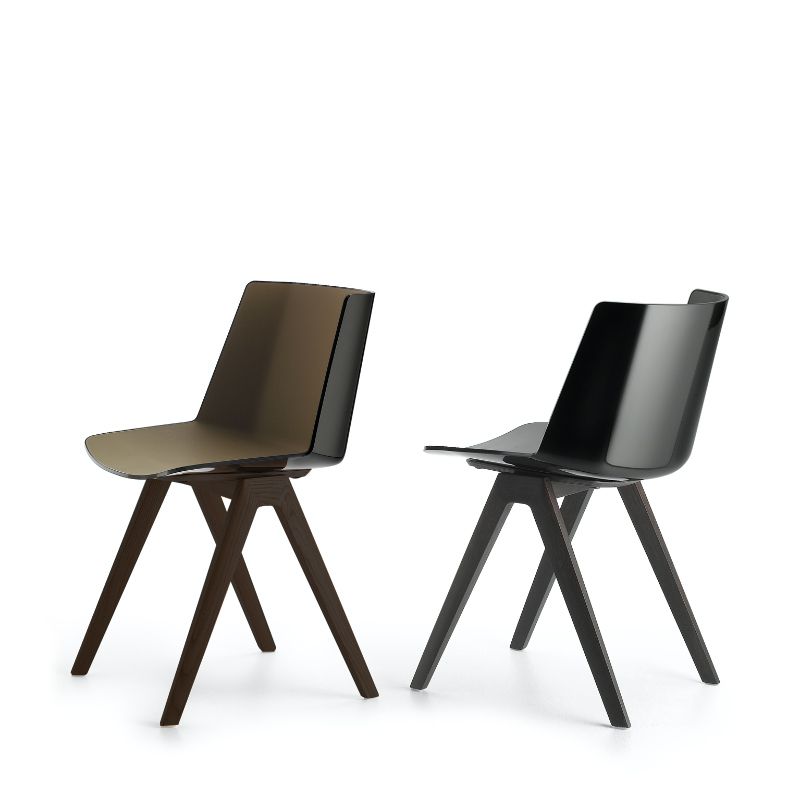 AÏKU is a versatile collection of chairs designed by Jean-Marie Massaud. Massaud is a French architect, inventor and designer. His designs are characterized by an understanding of the surrounding world, created through a holistic approach that captures the zeitgeist in a compelling way. Massaud has been named Designer of the Year several times and has worked with companies such as Cacharel, Lancôme and Renault. The name, AÏKU, comes from the Japanese word "haiku". Haikus are short poems with remarkable meaning. Due to its incredible shortness, a haiku requires a considerable synthesis of thought and image. The simplicity in form and expression taken from the notion of the haiku reflects the design concept for the AÏKU collection. The collection displays refined architectural elements free from all superfluous elements. AÏKU features essential shapes and meticulous attention to details, like the double finishes of the polypropylene shell. The outside structure is a gloss finish, in black or white colors and the inside features a matte saffiano effect with different color options. The base is supplied in the same color of the shell’s external finish. 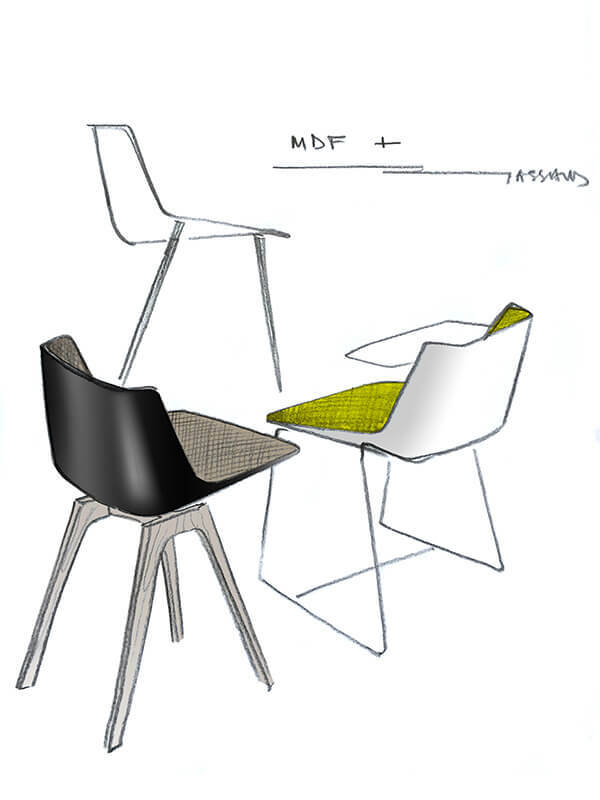 AÏKU is well suited for domestic environments, as well as offices and public spaces. For added versatility, these chairs are stackable.